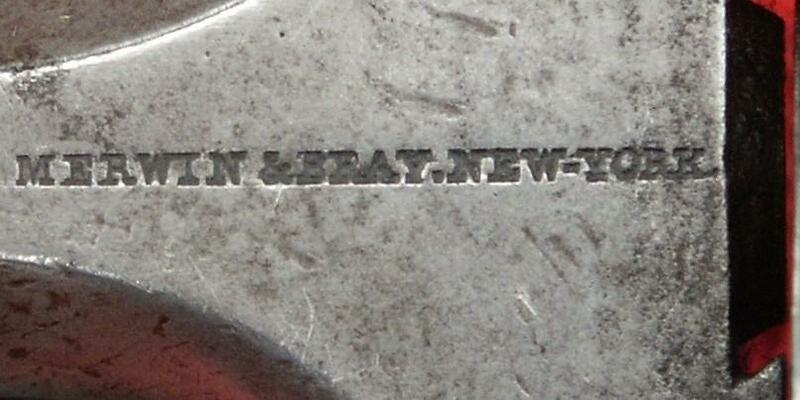 Plant Mfg Co et Eagle Arms Co. 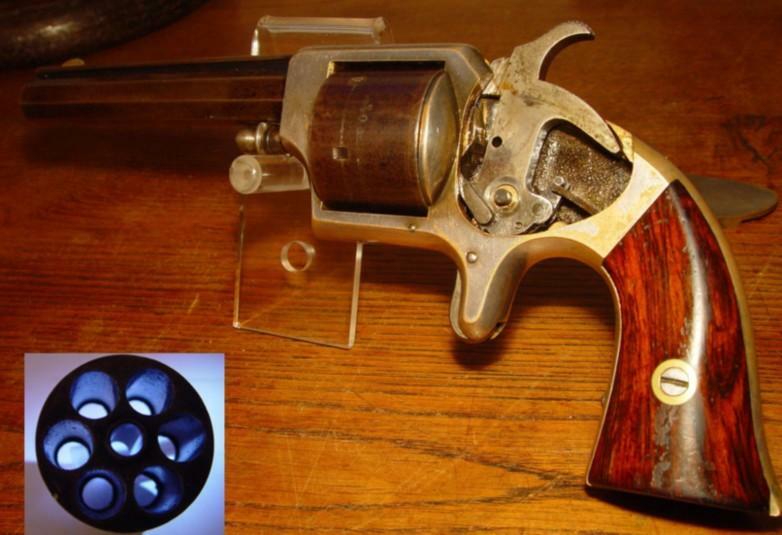 This is an example of the Plant Army 3rd model revolver, in .42 Cupfire caliber. A pocket version in .30 cupfire caliber was also issued. The pocket was an exact copy of the larger 3rd model, except for its reduced size. 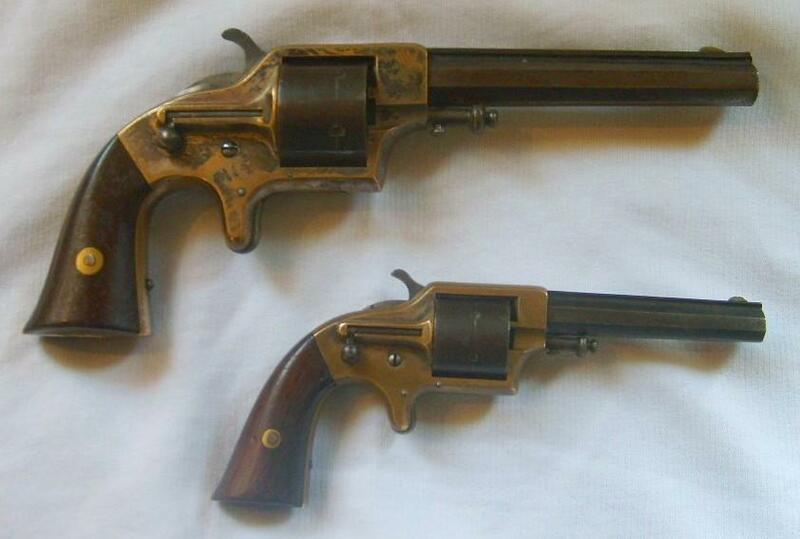 This revolver was specially developed with a view to circumvent the Rollin White patent. 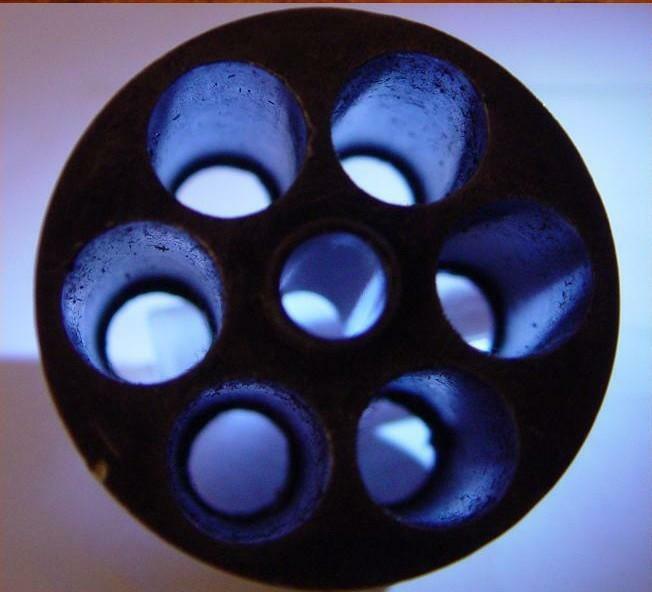 Due to the fact that the cylinder was not completely bored through - since a rim was left on the rear opening of the chambers, the weapon could not be considered a patent violation. For the same reason, the gun was still a muzzleloader. Just like on the Moore Teatfire, the cartridges were designed for muzzle-loading. Empty shells were also expelled out of the chambers from rear to front. The main difference with the Moore is that the back of the cartridges were in a cup instead of a teat, which explains the name "cupfire". The ball lever on the right side of the frame is the ejector that pushes the empty shells out of the chambers from behind. The basic design was due to WC Ellis and J.H. White. The first model (very rare) resembles closely a Smith&Wesson Old Model Army n° 2, except for its brass frame and fixed barrel. Second model resembles the 3rd Model but has a much thicker frame. Approved by Smith&Wesson, holders of the Rollin White patent, the Plant was de very first evasion to that patent. A few examples with iron frame are known (very rare) as well as a number of minor variations. The revolver was made by different makers, among which Merwin & Bray, the Plant Mfg Co taking care of sales and distribution. 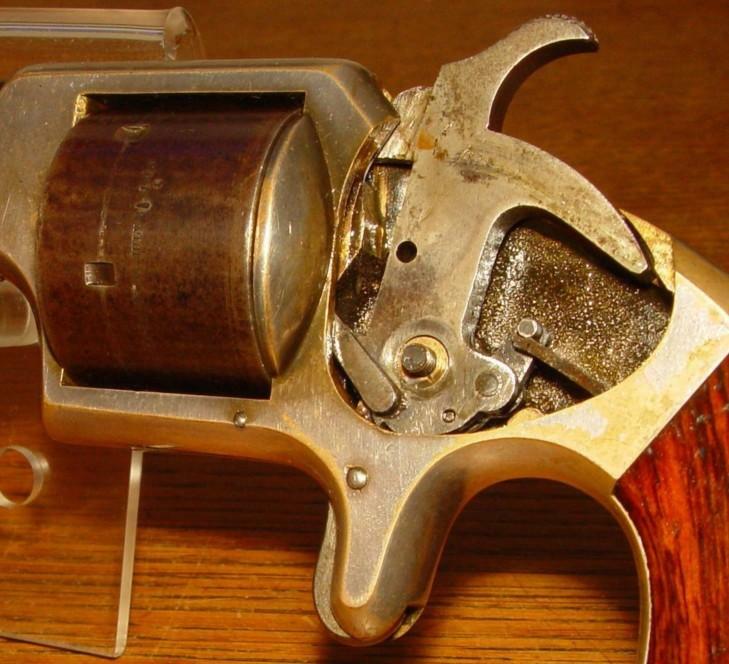 Due to the difficult and slow distribution of specific metallic cartridges in the US in the 1860's, the gun was generally sold with a spare percussion cylinder. Many were transformed and adapted to the .41 Long Colt cartridges; the extractor housing was ground away and a loading groove was cut in the place, as well as an opening in the recoil shield to allow loading from behind. The rim ate the rear end of the chambers was filed away. Although Merwin & Bray announced acceptance by the Army in their catalogues, no military records have been found yet to support that allegation. However, fact is that a number of soldiers and officers purchased that sturdy revolver at own costs and used it in the Civil War. While only a total of ca 9.000 of the large military models were made (all variants together), the reduced pocket model reached 20.000. 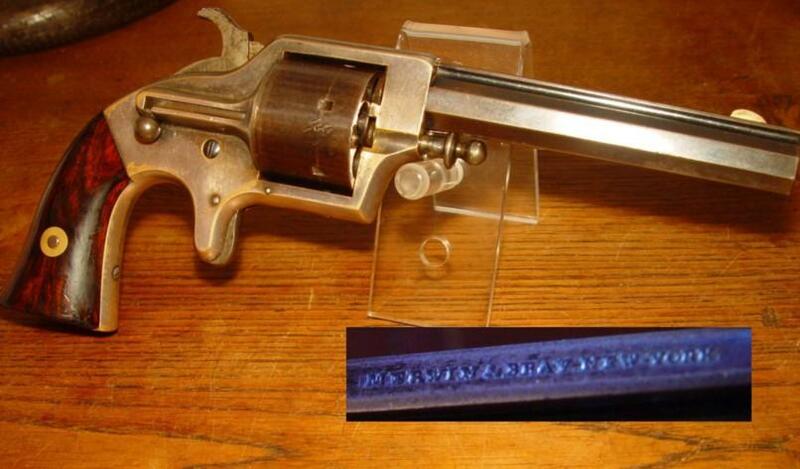 The Plant is one of the very first metallic cartridge revolvers made in the USA.